In order to reach the best performance, use a 5V/2A AC adapter and original cable of the devices to charge. 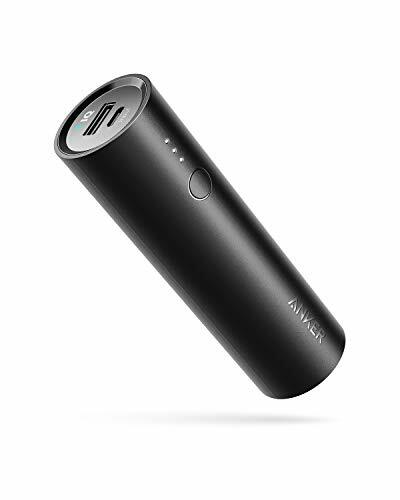 High-speed Charging Input: 5V/2A, can be fully charged in about 5-8 hours. Output: 2.4A Output for each 2 USB port, make it charge 1.4X faster than standard charger Note: Not support Qualcomm QC 2.0 / 3.0 function. So QC design phones like Samsung S8, S7, S6, Note 5 can charge at regular maximum speed but not QC mode. 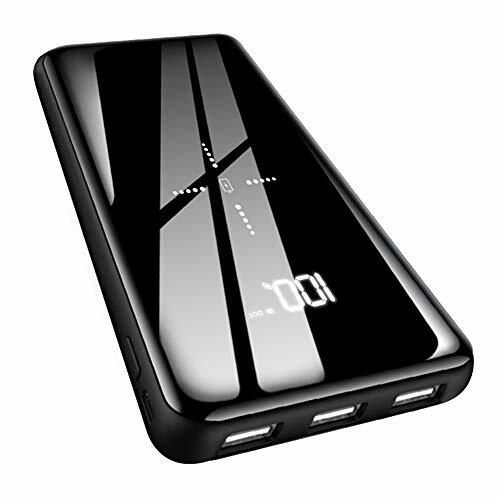 3 Charges for iPhone 8 10000mAh capacity charger is more than enough for all day trip which can fully charge your iPhone 8 for 3 times. 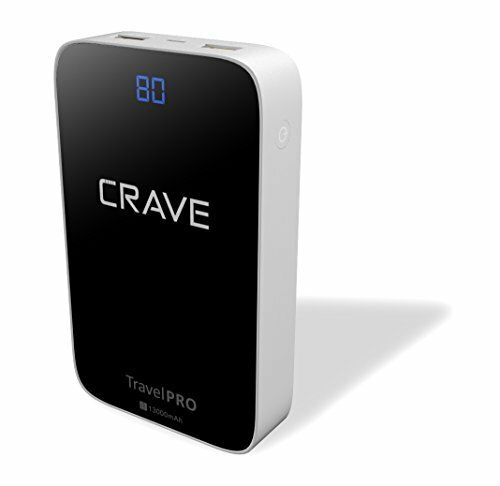 Perfect for flights, traveling, business trips and no worry about out of battery anymore. Two USB ports design 2 USB ports allow you to charge your two devices simultaneously. Share it with your companion anywhere and be relieved from heavy luggage when going out. Cool LED Flashlight Press the power button twice rapidly to turn on/off the LED flashlight. Perfect design for camping, travel, business trip and more. It will be a real help in an emergency. Multipotent Safety System Intelligent power manage IC protects your devices against over-charged, over-discharged, over-voltage, over-current and short circuit charging accidents. 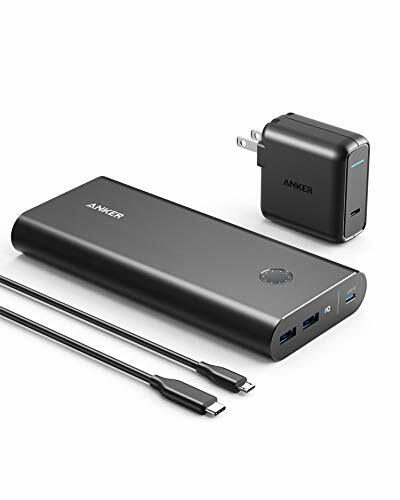 Package Includes 1 x ; 10000mAh Power Bank 1 x USB Charge Cable (recharge for power bank itself) 1 x Protective bag 1 x User Manual ( No adapter included) Warm Tip 1. INIU Smart IC Detects your device to deliver its fastest charging speed (2.4A Max) but not support Quick Charge 2.0 & 3.0. So Quick Charge Design models like Samsung S8, S7, S7 Edge, Note 5 can charge at maximum regular speed but not Quick Charge. 2. 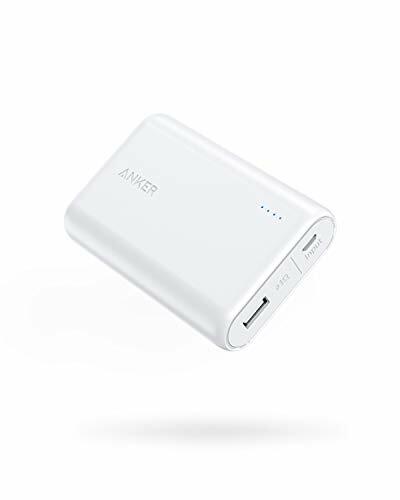 The power bank is not suitable for small current (less than 0.1A) charging devices like Bluetooth earphone and high input (over 5V) charging devices. 5. Safest Charging Technology No worry about the charging accidents anymore. Our intelligent controlling IC protects your devices charging 24/7. 30-Day Money Back Guaranteed, 3-Year Warranty and Lifetime Technical Support. Q: Is power bank waterproof? A: No, it is not waterproof and you could keep it away from liquid.Q: Why is my power bank not charging? 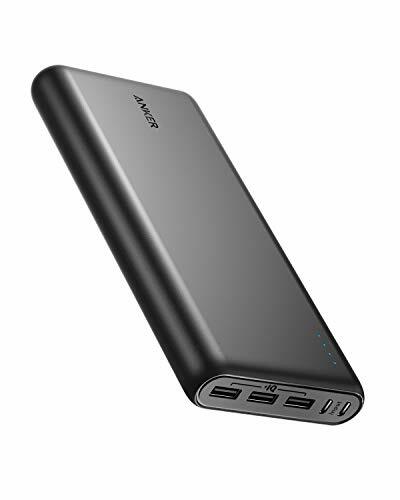 2).Whether the cable connection is loose and make sure your power bank is not depleted.Q: Could I charge my device when the power bank is also being charged? A: No, you may not do this please because it will do harm to the lifespan of the unit.Q: How do I know the current and voltage of my device? A: You could press the button and all details will appear on LCD.Notice: If you have any questions or requires, please feel free to contact us by email attached on the gift card in the package box. 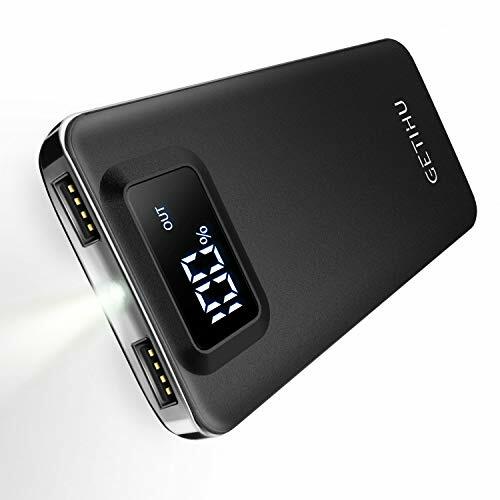 Huge Capacity Battery Pack 25000mAh huge capacity could charge smartphone about 5 times. It will be very helpful when you are in travel or other outdoor activities. 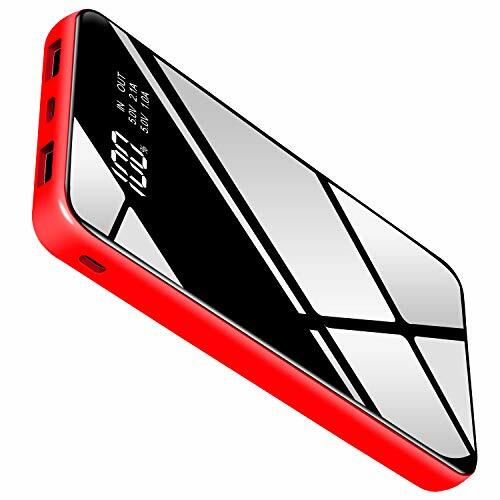 Humanized Design Portable Charger The Android Input and Lightning Input could give you different choices as you like. Also, one 1A output and two 2A outputs could charge 3 devices at the same time. 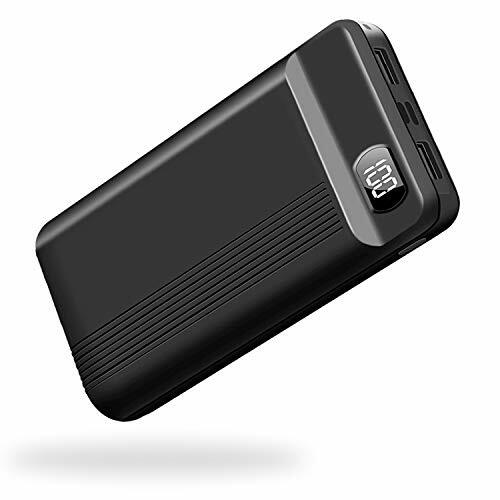 Intelligent LCD Power Pack The LCD will display the charging status of the unit clearly when being charged. 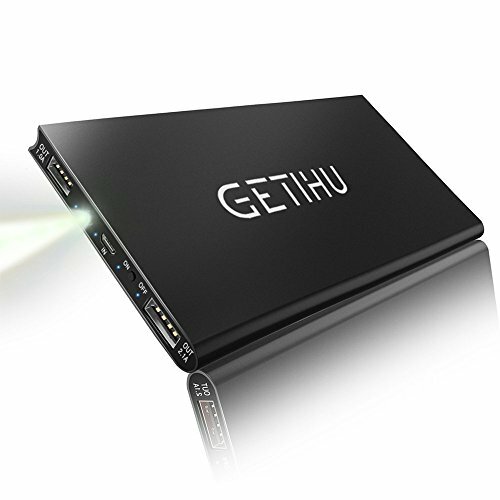 Multi-Protect Safety Backup Battery Our power pack could identify the voltage compatible with your device automatically and start the safety protection to prevent overcharge, overheating and short-circuit. 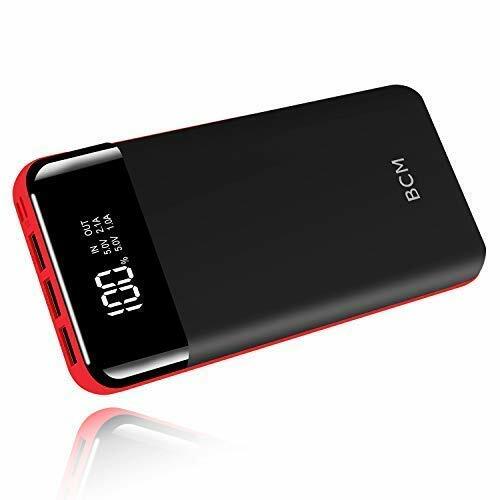 What You Get From BCM Power Bank BCM 25000mAh power bank, Micro USB cable, user manual, warranty card, our 24-month warranty and friendly customer service. Press ON/OFF button again to turn off the LEDlight. 4 recharge option can be choosed, not only can be recharged via sunlight and wall outlet, but also charged via strong lights and USB port, don't need worry you will out of power anymore! Due to the limitation of weather and environment, it maybe take long time to get full charged if only charged by sunlight . Ordinarily recommend to charge by outlet, which is more fast to get full charged( 2A plug12-15 hours ). 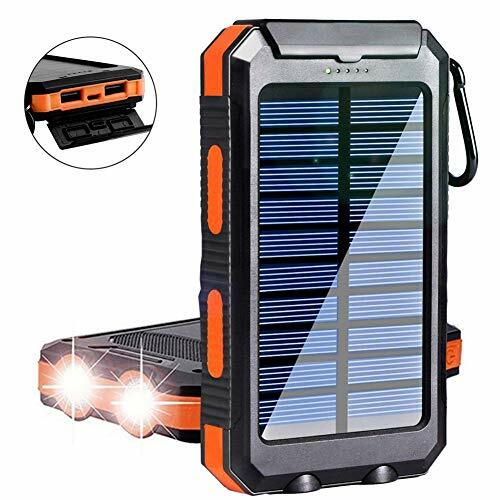 24000mAh Colossal Capacity The portable solar charger provides large electricity for charging your device, it can charge your phone 8-10 times, tablet about 3 times. Eco-friendly & Foldable Solar Panels: with compact size (6.1 3.3in folded / 6.1 10.6in unfold), super portable. 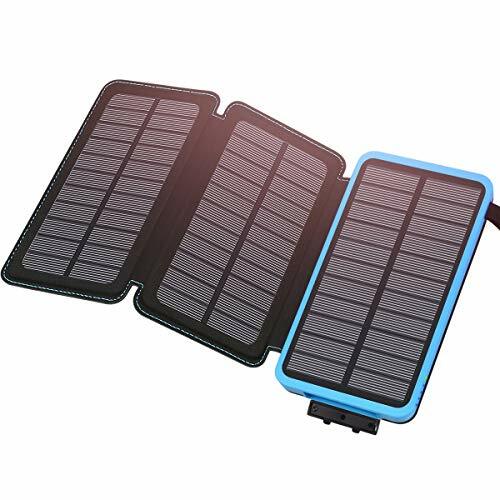 3 solar panels make it is 3 - 4 times faster than ordinary solar charger. It can be charged by wall charger too. 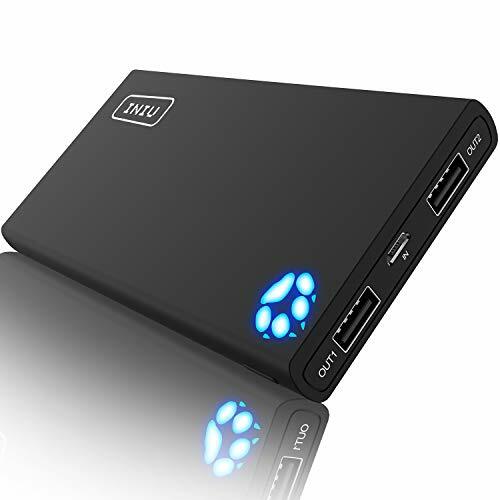 Dual USB Output: Intelligently identifies your device to deliver the optimal current, can charge 2 devices simultaneously with quick charge in 5V/2.1A. 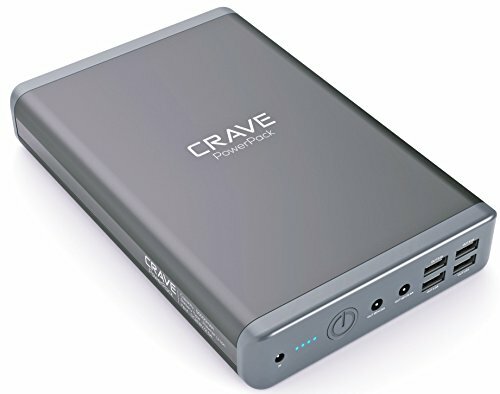 It just need about 1.5h to full charge your phone. Outdoor Design & Waterproof: With bright flashlight support emergency SOS mode. The perfect emergency product is durable and shock, dust and waterproof. 30-day Full Refund & 12-month Warranty: We provide worry-free replacement policy and friendly customer service. Whatever question or problem you have, please feel free to contact us. Please note that the USB cable is in a small interlayer hidden inside the box. 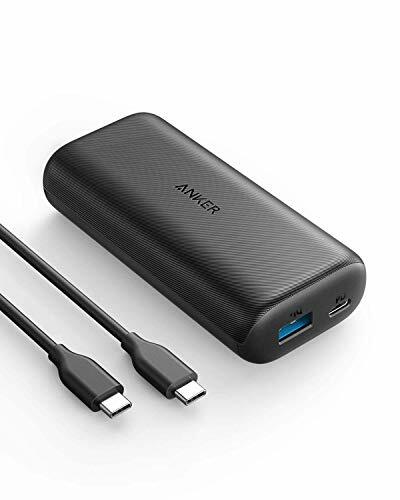 Compatible with 12'' 2015 MacBook (USB-C cable required), iPhone XS / XS Max / XR, Android smartphones and tables (including the Nexus 7), and other USB-charged devices. Xcentz, a new America innovative brand. At Xcentz, we make technology that s customer-driven and easy to understand. Our product is made to last that is why we offer an industry-leading 24-month, no-questions-asked warranty. Please feel free to contact us and we will give a satisfied solution within 24 hours. 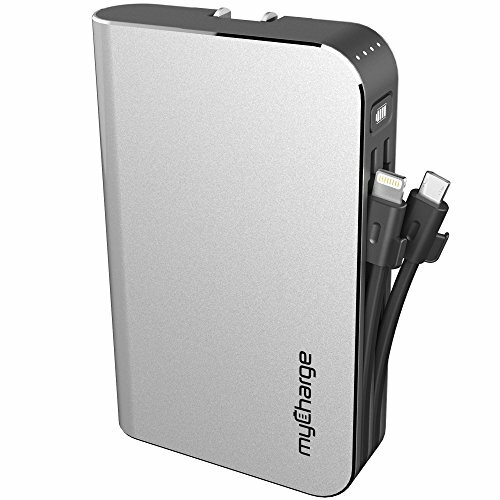 The myCharge HubMax 10,050mAh Portable Charger is jam packed with power to suit all your portable charging needs. 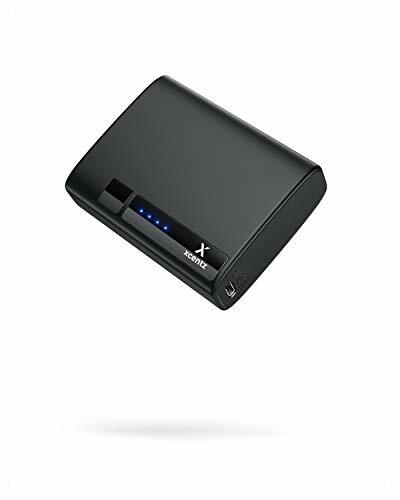 Features an integrated built-in Apple Lightning cable and micro-USB cable as well as a built-in USB Port for added convenience and compatibility allowing for a third device to charge anywhere, anytime. No need to carry extra charging cables, just throw the HubMax in your bag and you're all set. 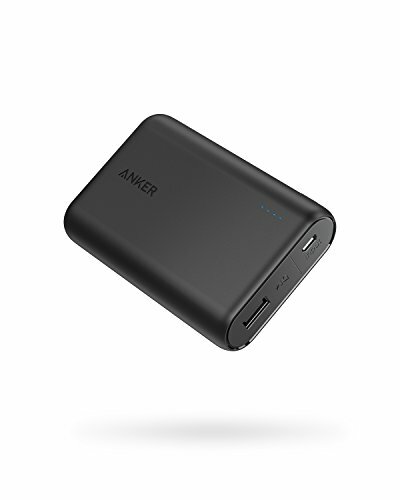 Ideal for the traveler, commuter, adventurer or just to have on hand for a quick power boost or re-charge. 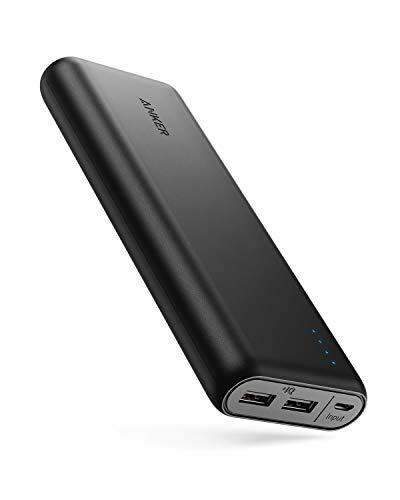 Delivering 10,050 mAh of quick charging power (up to 6x additional phones charges) with pass through charging allowing the power bank and connected device to charge simultaneously. 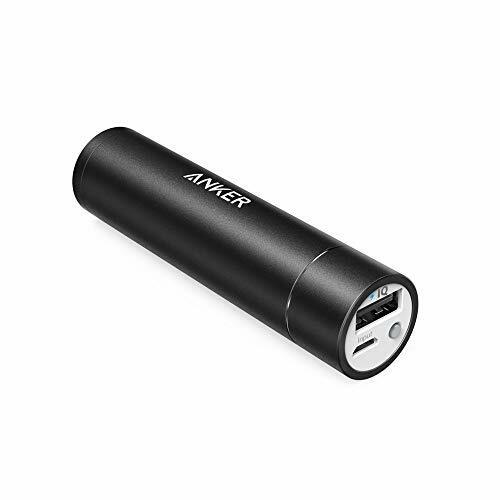 Also features a built-in self-contained foldable wall plug for effortless recharging. Built-In Apple Lightning Cable is Apple MFI Certified and designed for use with all Apple iPhones, iPads, and iPods with a Lightning Connector (iPhone XS / XS Max / XR / X / 8 / 8 Plus / 7 / 7s / 6s Plus / 6s / 6 Plus / 6 / SE / 5s / 5c / 5 / iPad Pro / iPad Air / Air 2 / iPad mini / mini 2 / mini 3 / mini 4 / iPad 4th gen / iPod Touch 5th gen / iPod Nano 7th gen) Built-In Micro-USB Cable is compatible with Android (Samsung Galaxy, LG, Motorola, HTC, Nokia, Blackberry) as well as any other standard USB Device (Bluetooth speaker, camera, gaming device, USB battery, e-reader and many more) Battery: 10,050mAh Lithium Ion Output: 3.4A shared Product Dimensions: 4.6 in x 2.8 in x 0.9 in Product Weight: 1.19 lbs. 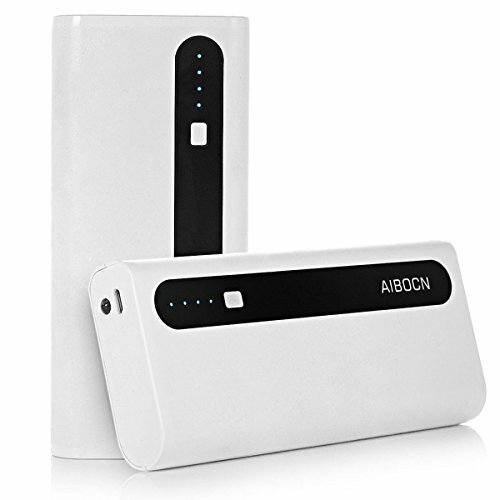 Alongza focus on providing high quality power bank products and friendly &outstanding customer service, looking forward to your support and welcome your positive affirmation.